One of the reasons that it’s taking so long to finish the roster update is that I greatly underestimated the time it takes to create players. Back when I was making the roster updates for NBA Live, creating new players didn’t take nearly as much time. Players only had around twenty ratings that could be assigned in-game, plus a few attributes and elements of bio data that needed to be added externally via DBF editing. In NBA 2K11, there is a much more detailed set of ratings to add and balance, not to mention tendencies and signature animations. As such, creating a player takes longer than I’m used to, and that’s not even counting external editing with REDitor II. The result is that the rosters have been taking shape much more slowly, especially as there are so many players to create. 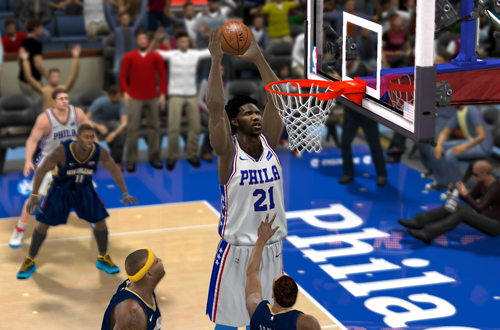 Updating the rosters for NBA Live 2005-08 – a project I’d still like to tackle – would actually be quicker, as I at least have a 2013 roster to work from there. To that end, I’ve changed up my approach a little, starting out by creating prominent players throughout the league, rather than just adding the new players team by team. This allowed me to avoid some of the inevitable monotony that comes with creating missing players, and also spend some extra time crafting the new stars. It was a good introduction to the process. It isn’t the fastest way to get new players into the game however, and the pace made it rather daunting when I looked at the roster listings and the number of players I still had to create. Having created all of the new stars and a handful of key players, I’ve changed up my approach again and am now just creating players with their basic bio data, accessories, and a few signature animations, with the intention of going back and fixing up ratings, tendencies, and so forth once all the players are in the roster. I’m also focusing on creating players on full contracts, with the intention of creating the Two-Way Players after that (and leaving them in the Free Agents). While the workload is the same in terms of the tasks that I have to perform, it feels like it will be a more streamlined approach. I also believe that it will be easier to avoid burnout by doing it this way, as the initial step of creating all the missing players will be done and the teams will feel “complete”, even though the players will still require further work. In fact, I’m thinking that when I get back to messing around with an update for NBA Live, I’ll adopt a similar approach. It should be even quicker since those games don’t have as many player attributes to initially create and then polish up, but at the very least, it’s proving to be a better approach for NBA 2K11. When it comes to externally editing the roster files, working on NBA 2K11 has been an interesting contrast to NBA Live’s DBF editing. REDitor II features a very familiar interface for working with the roster data, but I’ve obviously had to learn about all the various data fields and their values. This includes learning the methods of basic tasks such as removing players from the active roster, and assigning face files. The former is rather straightforward once players are released into the Free Agents, but the latter takes a little more effort. Working with NBA Live’s filenames and the PLAYERPKG values is definitely less cumbersome than NBA 2K’s CF IDs and file structure. A few of the specifics aside, the process is still rather familiar. It all comes down to adding data that can’t be accessed in-game, and ensuring that the names of the face files and the pointers to them in the roster file properly match. 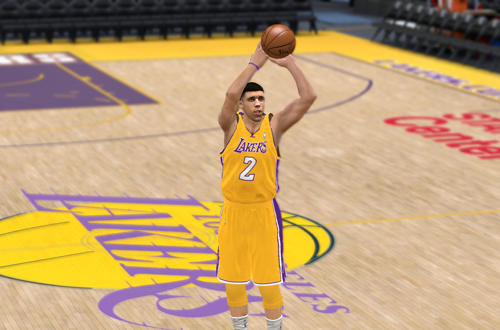 There are also some differences in NBA 2K11’s roster that make things more convenient. For example, the Overriding Rotations tab controls the All-Star teams, where it’s just a matter of adding the ID numbers of the players you want to add. Updating the All-Star teams in NBA Live required the creation of duplicate players that existed as separate entities. If I edit a player assigned to an All-Star team in NBA 2K11, I only need to edit them once. I’ve already got a lot of the artwork in place, thanks to some generous contributions from the community. Once again, working with these files has been a little different, as NBA 2K11 doesn’t utilise a custom art folder; everything goes into the main game folder, and overwrites the original files. This means that I’ve had to create backups in case anything goes wrong, whereas in NBA Live I could just delete the loose files and go back to the originals stored in the VIV archives. I haven’t had to restore any of the backups as yet though, and it’s been good to have the new artwork in place early on in the process. It’s allowed me to see the roster take shape, and put together previews. In addition to those contributions, the project wouldn’t be possible without the hard work of Vlad, the creator of REDitor II, and our own JaoSming, who helped out with troubleshooting and the development of support documents. 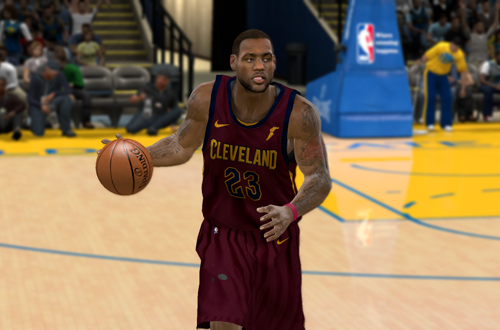 My own history with the creation of roster updates for NBA Live has been to my benefit here, but the included resources have made it quite easy to pick up the new knowledge that’s been required. 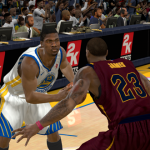 The other learning curve involved becoming familiar with the ratings scales in NBA 2K11, though they are quite similar to NBA Live in many aspects. My efforts so far have unquestionably increased my familiarity with the game’s workings and assets. Taking on the project has yielded some familiar frustration as far as the more tedious aspects of creating roster updates are concerned, but working on a game that I haven’t previously modded has added a certain sense of freshness to the proceedings. 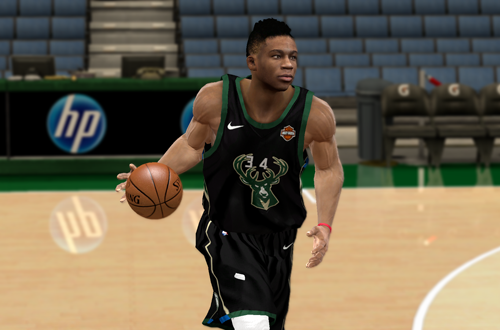 It’s a new challenge, and while I would still like to create some mods for the games I’ve spent a lot of time working on in the past, I am excited about releasing my first roster for NBA 2K11. I’m still working on the 2018 roster because I started on the project before the Draft and updating the game as of the end of the last season is a big part of creating 2019 rosters, but once that’s done, I will be updating the rosters for this year. Working on new rosters has also given me a reason to research players, which has allowed me to feel more connected to the current NBA. I never realised how working on those NBA Live updates helped drive my enthusiasm for the real NBA, and allow me to be familiar with everyone from stars to benchwarmers. On top of the creative satisfaction that comes from modding, that’s been one of the most rewarding aspects of working on the project. On the downside, I’ve grown weary of the songs in NBA 2K11. It’s a great soundtrack, but I’ve heard it loop too many times at this point! For the moment I have to mute it, and listen to my own music on Spotify. Since I adopted the new approach of creating all the required players, I’ve filled the rosters for five teams: Boston, Chicago, Cleveland, Golden State, and Houston. As I said, I feel confident that this approach will help me to streamline the process, without compromising any quality or attention to detail in the long run. I can’t set a release date as yet, but if I can make some good progress this week, it might not be too far into the new season. I may even put out a beta/demo version out before the full release. Either way, it’s been a fun exercise so far, and I hope the final results will be worth the efforts. Keep it locked to this topic for further status reports!